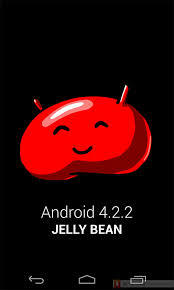 After waiting for days after it went live in Taiwan, the HTC guys finally started rolling out the Android 4.2.2 Jelly Bean version for HTC One. It went live today in the United Kingdom and the company has informed that Asia is next in the radar for the update as early as next week. The update is available Over the Air (OTA) but it is worthwhile to have a wi-fi on while updating the OS as the update is a hefty one, 417MB to be precise. If you don't receive the update information you can always check it manually by going to the Setting > About > Software Updates > Check Now. Some HTC One users may have to download a small bug fix before the actual update. As always the update will come with a lot of changes. The Blinkfeed has been updated to pull feeds from WeChat and Instagram. HTC Ones Sense UI 5 is also updated with a new Quick Settings features plus there will now be a customizable lock screen which will supports widgets, a new battery percentage in the status bar. The new update will bring Jelly Bean Daydreams feature to HTC One.